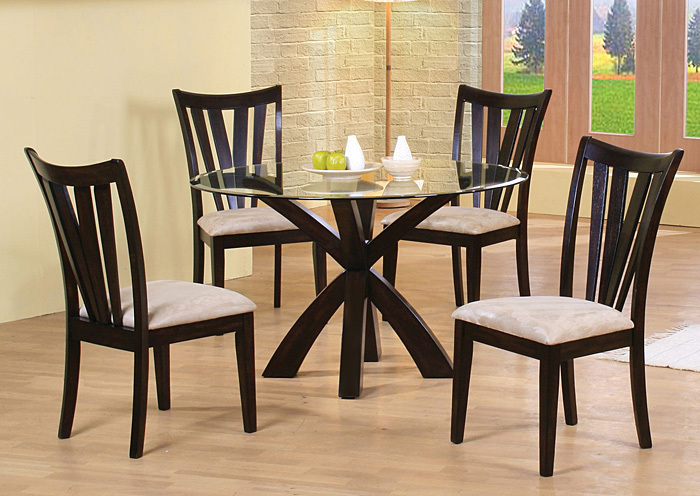 This 5pc Contemporary Dining Set With 48” Round Beveled Glass Top Is Finished In Rich Cappuccino. 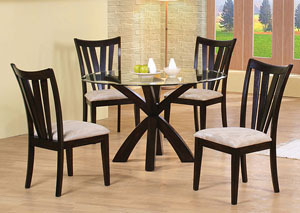 Matching Upholstered Side Chairs Wrapped In A Microfiber Fabric. Base And Chairs Made Of Rubberwood.